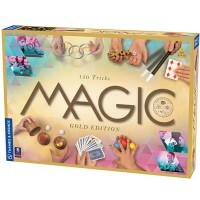 This mind blowing kids magic set by Marvin's Magic brings 100 Amazing Magic Tricks that are easy to learn and impressive to perform. 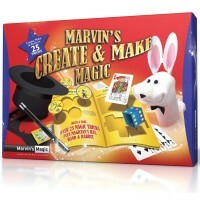 Creator of Marvin's Magic kids magic sets, Marvin Berglas is a famous professional magician who shares the secrets of his illusionist art with all want-to-be magicians. 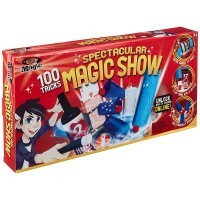 Marvin's Mind Blowing Magic 100 Magic Tricks Set brings everything young magicians need to learn and perform 100 cool magic tricks. 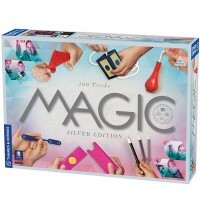 With this mind blowing magic set kids can impress their audience with the rising from the pack card, the bug fly through the ice cube, magically appearing at your fingertips money, see 'through' for the right cube color, the invisible pen trick, defying gravity with the non-spilling out upside down bottle, mind reading, hypnotizing and controlling flies, making the coin disappear, revealing a chosen card from a full deck, and much much more! 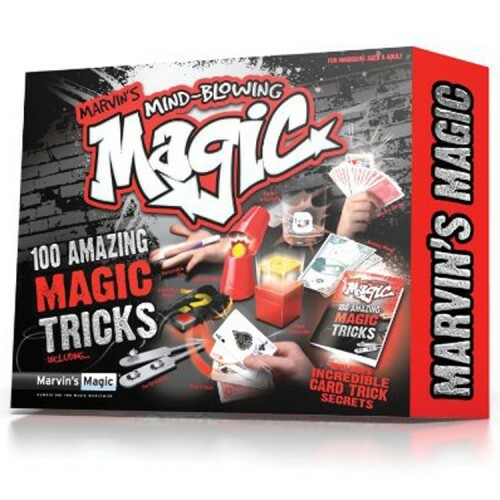 Marvin's Mind Blowing Magic 100 Magic Tricks Set includes a detailed instructions manual explaining how to do do these amazing magic tricks. 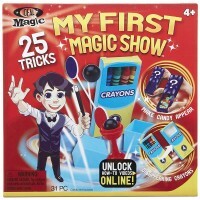 Get ready for the astonishing magic show that your young illusionist will present with this mind blowing Marvin's Magic set. 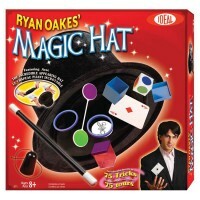 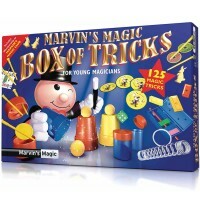 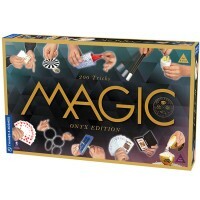 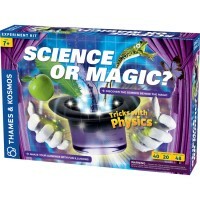 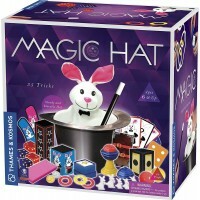 Dimensions of package 0.177" x 0.026" x 0.134"
Write your own review of Marvin's Mind Blowing Magic 100 Magic Tricks Set.